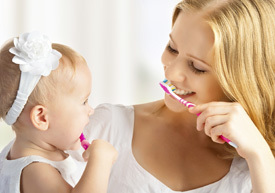 For little teeth and sensitive mouths, choose Anchorage Dental Care. We provide gentle dental care for the whole family. With our gentle, personalised approach to dental care, children will be put at ease while we work to educate them on the importance of oral hygiene. With our paediatric patients, we focus heavily on prevention and preventative treatments, such as sealants or fluid application. By educating your children on proper brushing and flossing techniques, we aim to stabilise their oral health and prevent future issues. We can also provide fluoride tablets and discuss which toothpastes are appropriate for your child’s use. »» Want to find out more about Paediatric Dentistry and caring for young teeth? Children’s Dentist for Mindarie, Clarkson, Butler, Quinns Rocks, Iluka, Joondalup and neighbouring communities.